Access to your property should only be granted according to your wishes. 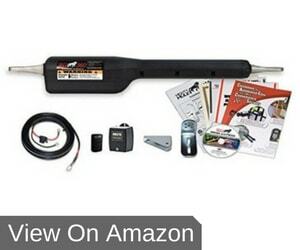 The best driveway gate openers afford easy entry for you and those you trust, while their strength keeps unwelcome guests out. For large gates, this can become a problem. If you install a Mighty Mule automatic gate opener, you’re partnering with a brand that’s designed to operate large gates. 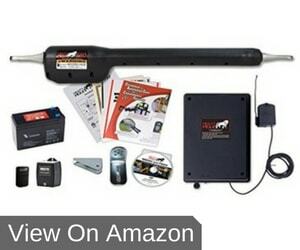 The Mighty Mule gate opener reviews below shed some insight on the different models. We hope you can find one to meet your current requirements. The items mentioned here are specifically single gate openers. 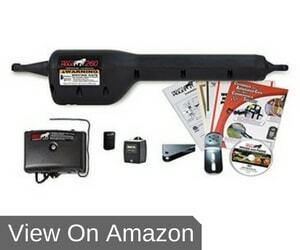 Mighty Mule dual gate opener reviews are focused on types that will be suitable if your gate has two leaves. The MM260 is only for light duty situations. Installation can be a DIY project, as long as you have the necessary tools. The gate opener’s maximum capabilities are managing gates up to 12ft and 300lb. This model has increased strength and safety features, as it adheres to UL325 guidelines. It can easily be installed by the buyer. The aluminum center of the arm offers excellent strength. The system has a long warranty time attached to it, so you should have years of excellent service. You can install this gate opener yourself. As long as you have the tools and basic skills, you will only need around three hours. Some users find the gate opener’s speed to be slow. This can also cause security problems if you’re concerned about intruders entering the property behind you. The system is designed to match with HomeLink remotes. If you already have these you simply have to follow the programming instructions. However, some users do struggle with this process. Mighty Mule has a capable customer care unit, but they’re not prompt at all times. This means you can install a much larger gate to give easy access to your property and the gate can still function well. Most parts are included, but you do have to purchase a 12V battery that can produce 250 CCA. Fewer injuries and damages will take place thanks to excellent technology. Users find the MM360 to be rather slower than competitive brands. They also note that many parts are made of plastic, rather than steel. This results in breakages within the warranty period of 12 months. Unfortunately, Mighty Mule’s customer service isn’t always prompt to help sort out these problems. If you have a very large gate to automate, this may be the option for you. The MM560 can handle up to 850 lbs. You can also use it on gates that are quite long, even up to 18’. Users have commented that additional hardware such as washers needs to be bought, which may hinder a quick installation process. You can combine this with your current gate system, and have the luxury of opening it from your car. Most Mighty Mule systems are HomeLink compatible. Note that clients complain about the short range of the transmitter. You have to be quite close to the gate before it responds to the remote. Gate openers are the ideal luxury to add to your premises. However, it can become a pricey process, especially if you also have to purchase a new gate. Use these guidelines to enable you to make wise a decision and get the best deal for the best price. These should be accompanied by detailed instructions. Research which parts are included in the kit. You don’t want to waste time running to the hardware shop. Luckily, you can make use of online assistance such as the GTO gate opener troubleshooting portal to help you when problems arise. 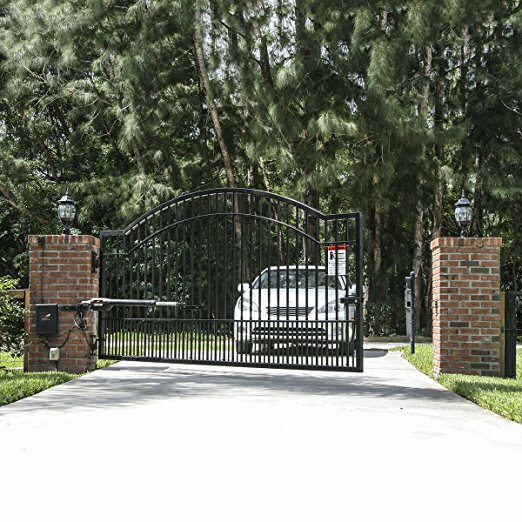 Some gate manufacturers and gate opener companies provide an installation service. This definitely saves time, but it’s an unnecessary expense if you have the tools and skill to do it yourself. If your gate opener closes slowly at the end of the cycle, there will be less friction and wear on the metal parts. Photo-eye sensors ensure the gate doesn’t close on objects such as your vehicle. This is not a standard feature and may require additional parts purchases. 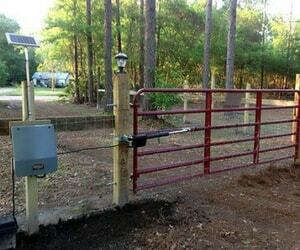 You want to install a gate opener that adheres to national safety measures, such as the Mighty Mule FM500 or E8 opener. These have fewer fire and electrical hazards, so your premises are safe and they keep insurance premiums low. These are designed for gates that only have one leaf that moves. They have to be strong enough to handle the length of the gate, as well as its weight. These are specifically designed for gates with two moving parts. When you’re looking for the best dual swing gate opener on the market, you should look for features that ensure there aren’t any gaps when the two leaves of the gate are closed. We believe these Mighty Mule gate opener reviews show the benefits of installing this brand. However, for your use, the best gate opener, residential or commercial, must fit the layout and setup you already have. If you have the available budget, opt for the Mighty Mule MM560. What we love about this is that the arm has an aluminum center. This ensures strength, but also longevity, so you don’t have to deal with breakages soon after installation. Its 18-month warranty is an additional sign that you’re purchasing quality. Since gate openers must provide security, quality is key.